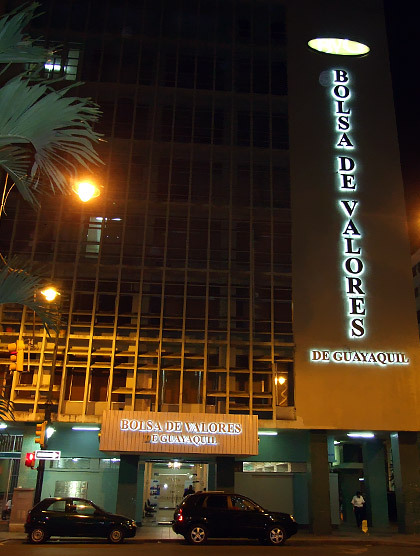 On May 30, 1969, under the Presidency of Dr. Velasco Ibarra, pursuant to an Executive Order, it was authorized that Bolsa de Valores de Guayaquil be created, upon the initiative of the Securities Commission-National Financial Corporation (CV-CFN). The first BVG trading session was carried out on August 31, 1970. All over its first year of operation, trading was distributed as follows: 96.7% fixed income and 3.5% equities. In 1993 the first Securities Market Law was enacted, and published in the Official Gazette on May 28, the same year. Under the new act, Stock Exchanges were granted self-regulatory powers. 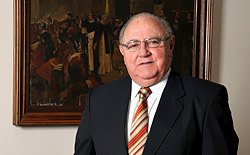 The government created Consejo Nacional de Valores, as securities market regulator, and Superintendencia de Compañías, as companies regulator and supervisor. Afterwards, a new Securities Market Law was enacted in 1998. 1998 and 1999 were years of great hardship for the Ecuadorean economy, which was facing the challenge of El Niño climate events, as well as political and economic crises that created an atmosphere of instability and uncertainty. All this contributed to the failure of 75% of total banks and firms, and derived into more State intervention in the economy, with short-term government bonds (fixed income) prevailing over equities. In January 2000, the Government of Ecuador announced the adoption of a US dollar-based scheme, which removed foreign currency uncertainty. Use of SEB Electronic Market System nationally since 2012. This mechanism is based on prior calculation of net value, which takes into account the cash value of trades executed by Brokerage Houses and Public Institutions, as well as commissions, fees and any other payment deriving from such transactions. a. If the value of total sales (credit) is greater than total charges, the net balance shall be POSITIVE, that is to say, it should be transferred by Decevale in favor of the brokerage house or public institution. b. If the value of total sales (credit) is smaller than total charges, the net balance shall be NEGATIVE, that is to say, the brokerage house or public institutions should make a payment into the Decevale account with the Central Bank. Depository is performed by Decevale and DCV-BCE. Panama Stock Exchange – 12/14/11 – Information Sharing Agreement.